Next: Why Do People Use the Internet? High speed broadband isn’t necessarily something that you notice, unless, that is, you don’t have it. Your enormous HD Smart TV might be your pride and joy but if your internet is slow you won’t be watching any of your Netflixfavourites. As for running a business, it’s very hard to convince customers and competitors that you are cutting edge when your broadband is struggling to cope. According to comparethemarket.com at the end of 2016, only 44% of UK connections were classed as superfast broadband and although the situation continues to improve, it’s common knowledge that where you live will determine the broadband speed you receive. In 2015 BT installed the first fibre to the premises broadband connections in the UK, offering download speeds of 330 Mb per second but historically, Northern Ireland has also suffered from some of the slowest broadband provision in the UK. Part of the deal negotiated between the DUP and the Conservatives in 2017, was to ensure funding of £150 million for increasing broadband access, though this money is yet to be forthcoming. 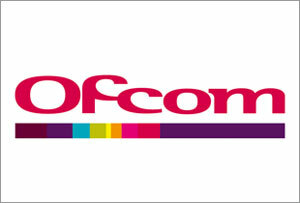 Despite this funding delay, according to Ofcom’s Connection Nations Report 2018,an overview of communications networks across the UK, access to superfast broadband in Northern Ireland has been increased such that it is now available to 89% of properties. Life in the sticks is still difficult though, at least it is if your internet speed is an important component of your happiness. One in five properties in Omagh and Fermanagh experience a service well below average and 40,000 properties can’t get broadband speeds sufficient for streaming, though this is an improvement on the 55,000 homes and businesses which were unable to get average broadband speeds last year. A report from the Northern Ireland Broadband Industry suggests that it will be at least another three years before rural connectivity is up to average levels. The Department for the Economy is seeking to ease the plight of rural broadband users in Northern Ireland by offering alternative provision for those who cannot access superfast broadband. “The Northern Ireland Better Broadband Scheme has been developed by the UK government to provide access to a subsidised broadband installation to homes and businesses that are unable to access a broadband service with a download speed of at least 2Mb per second and who will not benefit from the superfast broadband rollout”. For the lucky ones, Northern Ireland has some of the fastest broadband speeds in the UK, but it seems that out in the beautiful Irish countryside there are still quite a few folks who will have to wait a while yet before they can use those smart TVs they bought at Christmas.